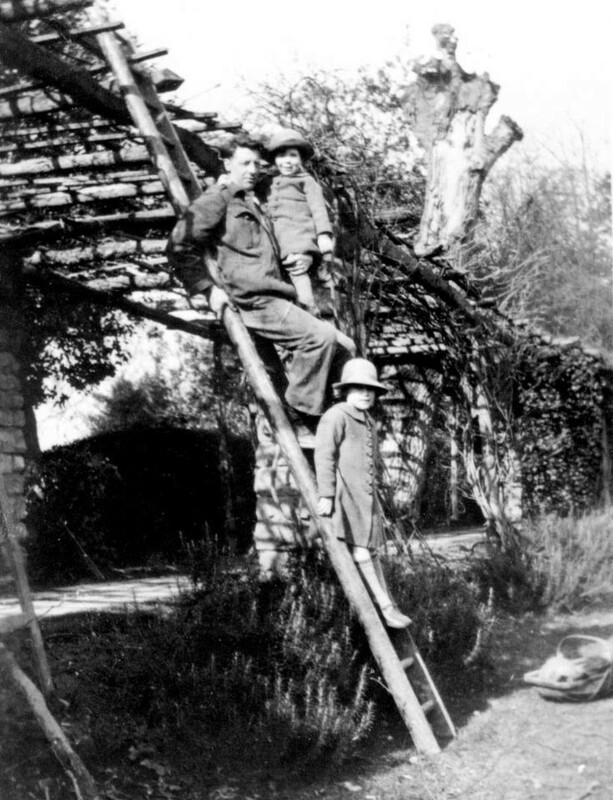 I cannot identify the man in a boiler suit, but he has placed his trug basket on the ground and carried a young Tony Armstrong-Jones up the ladder which is leaning against the pergola in Nymans gardens. Lower down the ladder is Tony’s older sister, Susan, who would have been about five-years-old then. The pergola was destroyed in the Great Storm of 1987, but was replaced by a similar construction in 1989. I can identify the man in the boiler suit! He is my Dad, Will Brown, from Farthing Corner, as it was known then, on Nymans Estate.